Apex Legends is a free-to-play title that combines many of the elements found in Titanfall with a class system. Gone are the giant mechanical titans and the mobility of players have been greatly limited, Respawn has removed wall running and double jumps for more traditional movement systems. Instead, players choose from 8 classes, 6 which are available from the start, to survive the hordes of enemy players in an ever shrinking environment. Respawn has done their homework and ensured that Apex Legends wasn't a reskin of other battle royale title. The developers took their time to create a much more intuitive interface and placed more focus on keeping players within the action. A common complaint with battle royale games is the need to constantly fiddle with your inventory to prepare for upcoming fights. Here, the interface is much more streamlined to allow for quick access to health, weapons, shield, and armor by equipping items into empty slots and attachments automatically to weapons. Best of all, you can easily swap out in-use weapons for those found on the field. Another major improvement is the flight system and communication options. Diving into the arena has been a problem for many battle royale titles but here, it works. The precision of flying with a group is much easier as one person is assigned as a leader and chooses where to head or you can also break from the group and go solo. In addition, players can call out targets easily by using the communication wheel to highlight enemies, weapons, and items of importance to your allies. All these enhancements make for a more polished experience that other battle royale games simply do not have. 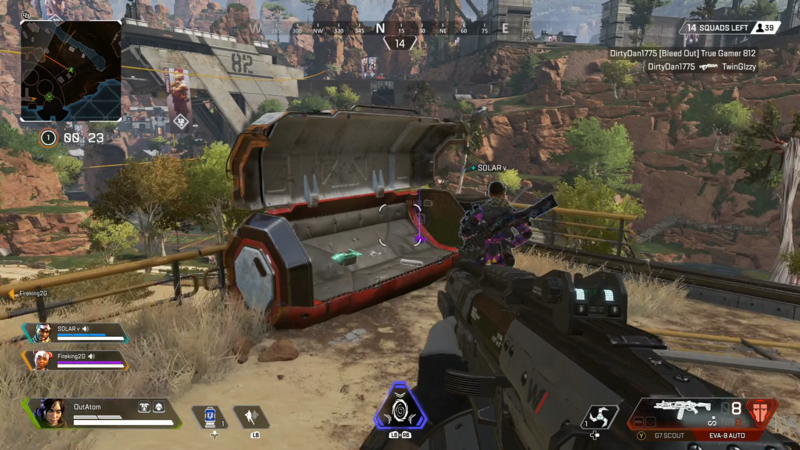 Apex Legends puts more focus on teamwork by providing more options of how to revive allies and support one another with healing items. Each one of the specialists has unique abilities such as Warith's Into The Void ability that makes her immune to damage while she moves but cannot attack back. Players are placed into a squad of 3 and cannot choose the same class. Of course, all characters have access to an array of cosmetic options that range from direct purchases to loot boxes. The core gameplay is fantastic. Respawn Entertainment has done a great job in the movement and shooting systems. Weapons are responsive and movement is linked to understanding the environment, such as sliding down hills for added speed or using higher level houses for low cover. Considering how diverse and lush the map is, players will need to understand the terrain how to move through it or face death. One of the bigger letdowns of Apex Legends is the cosmetics. Many of them, while offering a dose of color to the characters and weapons, are mostly mediocre compared to other titles cosmetics. 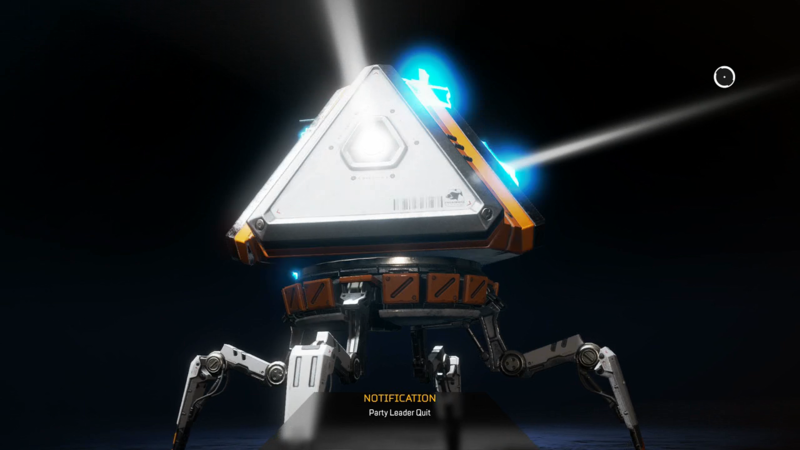 Respawn Entertainment hasn't been known for creative cosmetic items but makes up for it in Apex Legends gameplay. EA has an infamous history when it comes to predatory microtransactions, surprisingly the publisher held back here. Respawn has confirmed that EA didn't play a part in Respawn's vision and it shows. The microtransactions are limited to loot boxes and direct purchases, with no play-to-win options available like in the original Star Wars Battlefront 2 2017. The direct purchases are more expensive than the loot boxes but they remain within a reasonable price, about $1 per box. Surprisingly, technically the game runs fine. It's definitely shocking considering the game did have a beta or early access period to stress test the servers. Considering how troubled Anthem's demo was it's clear that Respawn Entertainment was dedicated to ensuring the launch went smoothly. 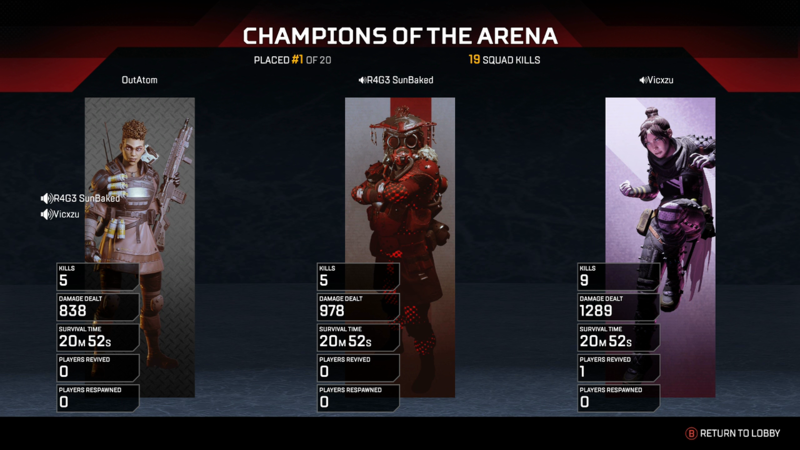 Aside from a few drops and graphical issues, Apex Legends runs well. While Apex Legends plays well the game is lacking in content. It'll take a couple of hours before you've experienced everything the game has to offer but for a free-to-play game, it's quite impressive. The visuals alone look like a AAA game, with incredible lighting and detailed character models. Character avatars will even call out important information such as tagged items, enemy fire, and when the circle is about to close. Apex Legends is a surprisingly refreshing battle royale title that took many of the factors that made Titanfall great, modified them, and created a brand new experience. It's lacking in content and the cosmetics aren't too appealing but the overall gameplay is amazing. It's clear that Respawn put a lot of passion into Apex Legends and hopefully we'll see a lot more content added to this title throughout the year and beyond.